In my last education post I proposed a new movement in education: The Never Give Up, Even-after-Failure Option. Honestly, I don’t want to use the word “failure” in my option. Failure has negative connotations; telling children and parents that a child will fail at something will make everyone involved uncomfortable. Here is my shortened proposal: The Never-Give-Up Initiative. It is based on learning readiness and mastery of skills. Creating this type of atmosphere in a classroom will result in a child learning at his or her speed, not failing while other students succeed. Instead of saying to a child, “You failed,” we will be saying, “Try again. I know you can do it.” There will be no need for a grading system with this initiative because students will master a skill or subject before they move on; there will be no A’s, B’s, C’s, D’s, or F’s, just mastery. They may make mistakes or not understand something, but they will have as many opportunities as they need to correct those mistakes and master the subject. I used Never Give Up, Even-after-Failure Option to make a point. Making mistakes is a part of life, but only in school do we call it failure. We are also doing a disservice to our students by not requiring mastery at every level. A child who receives a D- in a subject didn’t learn much. He or she now has to go to the next level without understanding that subject very well. We are now definitely setting him or her up for a lifetime of failure. Instead of just barely passing the subject, it would be so much better to say, “This is wrong. Let’s figure out why you got it wrong, so you can get it right.” We have tried to mass-produce educated children, and it’s not working. It really hasn’t been working for a long time. I am the first-generation born in this country from Macedonian immigrants. My parents were born and raised in Macedonia, and they met and married in America. We didn’t speak a lot of English in my home, which explains some of my learning issues when I was a child. I’m an October baby, so I started kindergarten at 4-years-old (cutoff for school in New York at this time was 5 by December 1st). That made me 5 when I started first grade. My teacher was a lovely, grandmotherly lady who even had the wrinkly pantyhose and grey hair. We used to hug her goodbye everyday on the way out of school. One day I remember being called to the chalkboard for spelling; I was the last one at the far-right side of the chalkboard. I and three other children had to spell “first.” I wrote it frist. The teacher went down the line: “Look class. Little Tommy spelled first perfectly! And so did Lisa. Well done, dear! And so did Sammy. Excellent! So proud of you, Sammy! Oh, now class. Would you look at the way little Pauline spelled first. Is that the way you spell it?” All the kids in the class yelled, “No!” Some of them went on to add, “She’s stupid!” I remember walking back to my desk deflated. I tell that story for a few reasons. 1) I still struggle with my spelling, especially when I don’t have time to think it through, or if someone is watching me, and this is 42 years later! I have gotten better through the work I put in after high school, like studying Greek and Latin stems, learning spelling rules, and using mnemonic devices. 2) I’m not traumatized over that event—well maybe a little, but I’m okay. Obviously, that experience pointed me towards teaching; my positive and negative experiences with education made me want to be a positive influence for my students. 3) The crux of the story is that I never received any teacher-help for my spelling inadequacies. I moved through all of elementary, middle, and high school without anyone saying, “Hold on. There’s something missing here. Let’s go back and figure out what that is and strengthen your spelling foundation.” That’s what will be different with the Never-Give-Up Initiative: Teachers will identify and work to correct gaps in students’ education as soon as they are discovered. If you recall from my last post, educating a child has three core components: teacher, student, and parent. The emphasis over the last few years has been on teachers’ positions only. Teachers are crucial to the equation, but not any more important than the other two. The Never-Give-Up Initiative will make sure that teachers don’t give up on students, that students don’t give up on themselves, and that parents are not taking a passive-aggressive role in their children’s education. However, before I discuss those core components, I want to share how the educational system needs to change, beginning with Early Childhood Education. Please note: I am not an Early Childhood Specialist or Teacher. I don’t presume to know the science behind the instruction or the data that is pushing for earlier and earlier formalized instruction. What I do know is my experiences with my own children; they were each different learners with different experiences. I also have had discussions with my high-school students about what went wrong for them. Many of them point to their elementary-school experiences as to where their difficulties began. Preschool should be about socialization, period. Children this age should have fun and learn how to interact with each other and the teachers. There is a movement that is asking for mandatory preschool, funded by the state. This is a huge mistake for two reasons: 1) Most children are not ready to learn in a formalized setting at this age. If parents want to teach their children letters, colors, and numbers, then that one-on-one setting is perfect for this age group. In a larger group, children want to play, make new friends, and observe what other kids are doing. Preschool is perfect for early socialization, but it shouldn’t be mandatory. 2) We don’t have enough money to fund the education of children who are ready to learn in a group setting, let alone to fund a preschool program. If parents want to place their children in preschool, they should pay for it. If this is what a parent chooses to do, I recommend looking for schools that emphasize play and positive interactions: playing nicely, using nice words, sharing toys and materials, learning how to handle minor disagreements, and listening and respecting the teacher and other students. Any more than that at this age will make students who are not ready to learn feel like failures. Kindergarten should be a small step-up from preschool. Along with the positive interactions described in the preschool section, children will begin their formalized education. At this age children are ready to learn letters, numbers, and colors in a group setting, and some of them will be reading already; however, what will determine if children are ready to move to the next level will be how well they listen and follow directions. 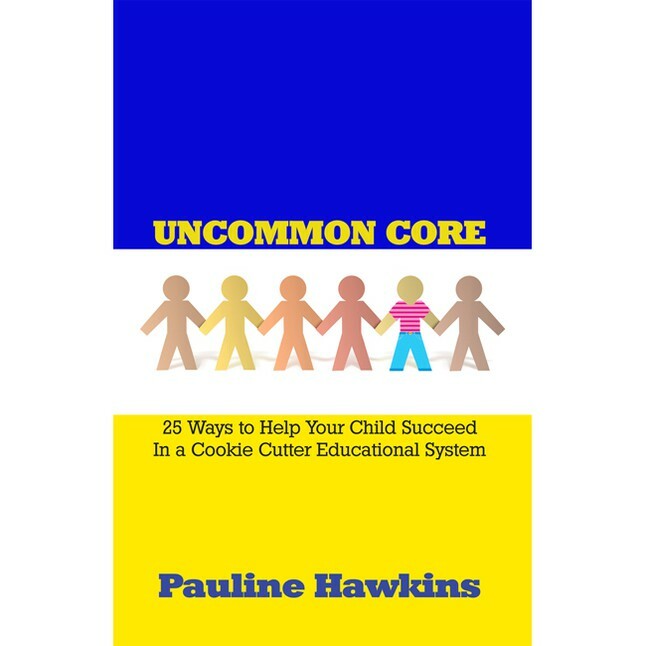 These two skills will determine if a child struggles with his or her education or not. If a child is not listening, he will miss important instructions and information. If a child is not following directions, she will spend a lot of time doing the wrong thing. I can’t think of two more discouraging scenarios for a child. So much of a child’s learning difficulty begins with not listening or following directions. This will be the only “homework” a child receives at this age, and it is truly homework for the parents as well. Parents will work with their children on listening and following directions at home. In addition, all schools will have a parenting class where parents can get help on how to teach these necessary skills to their children. If a child has mastered his or her letters, colors, and numbers, but still cannot listen and follow directions, that child cannot move on to first grade. If a child has to repeat the kindergarten session, the parenting class will become a mandatory class for parents. The message needs to be clear that free, public education is a privilege and that it is the parents’ responsibility to prepare the child for school. If parents are not working with their children to become learning-ready students, parents will have to pay for other methods of education or home school their children. I have heard far too many stories of parents expecting teachers to “raise” their children, without discipline of course. Listening, following directions, and being respectful are things the parents should be teaching at home; teachers are only reinforcing those skills. Once the child has learned the academics of kindergarten (alphabet, numbers, and colors), the positive interactions of a social world, and the listening and following directions necessary for learning readiness, he or she can move on to 1st grade. The biggest difference in my proposal is that each class will have a rotating-door schedule: If a child has mastered all three crucial elements of kindergarten within the first month of class, he or she can move up to 1st grade. If a child is reading already but cannot have positive interactions with other students, he or she will be placed in a reading group with other readers until he or she learns those other skills. If a child moves up a level, but then reverts to a lower academic or social level for a number of instances, that child will have to return to the lower level. This is not a punishment for the child. It is a way to help him or her see the importance of proper behavior and necessary skills for learning readiness. It will also maintain the learning environment for the other children who are following directions, are respectful, and ready to learn. So much of our classroom time now is spent working with behavior problems that it hinders the growth of the other students. This system will maintain the purpose of education. In the classroom there will be a team of highly-qualified teachers: One master teacher with two well-trained tutors who will work with students to achieve the goals (10-1 ratio of students to master teacher; 5-1 ratio of students to tutor). The elementary level is the most important level in a child’s education. Having this many teachers will guarantee that each child will have the attention necessary to master the skills. Students will enter each level based on their readiness, and their abilities when tested. This is not a standardized test. It will be practical knowledge and skills-based testing. If a child is ready to leave kindergarten with the three main components I described earlier, then he or she may test into a second-grade reading level and a first-grade math level. Once he or she has mastered the first level, he or she will move on to the next. Some students will move more quickly, others slowly, but the idea is they won’t move on until they’ve mastered the previous level (mastery will be determined by the student being able to do the task/skill every time he or she is asked to do it, or at least he or she will know where the mistake was made and be able to fix it). Another area that needs to be changed is what to do with a child who takes interest in a certain subject, beyond core subjects. For example, Johnny, a seven year old, can read chapter books independently and understands them; he will be in a high-level reading group (which may be equivalent to a 3rd grade reading level with six to nine year olds in the group). Johnny may struggle with his addition tables, so he will be in an entry-level group for math where he practices addition facts in many different ways (a 1st grade skill, where he may have five and six year olds with him). However, Johnny’s interest in birds and flying has him asking questions about how birds fly. Currently, in this school system, no one has been interested in the aerodynamics of birds, so he will have an independent study in a computer research lab with teachers who specialize in academic research. Those teachers will also be working with other independent study students, but those students may be researching automobiles, Susan B. Anthony, or Picasso, to name a few. This extra research will happen at the end of the day dedicated to students’ passions, possibly called Discovery Hour. Discovery Hour can be spent in a research lab or it can be spent in a more hands on lab learning or participating in science, art, dance, sports, cooking, or music. Whatever the child gets excited about learning, he or she will spend the last hour of the day doing it. Learning should be fun. We have to allow our children to find answers to things when they want to know them. “We can’t study birds right now” or other “can’t” answers to inquisitive minds is a perfect way to deflate curiosity. Where do we get the money for this initiative? 1) Get rid of state testing and state organizations that run the tests. Billions of dollars a year are spent on these state tests. If students are not moving on until they have mastered the Common Core Standards at each level then there is no need for the test. The fact that they are moving on proves they have mastered it. Throughout the world and in our own country, many incredible initiatives are being funded because people are choosing to put money where it matters. We have to choose to invest in our children by having master teachers (a masters’ degree or better requirement) and pay them a masters’ salary (equivalent to doctors and lawyers). Respect for our teachers will draw better qualified people to the profession. 2) The tutors will come from college education programs. College students who want to be teachers will need to work with students before becoming student teachers. They will not be paid, but they will receive invaluable experience before being expected to teach. It will be part of their education to work in the classroom. Creating this experience for college students will also weed out the people who cannot and should not be teachers. Being a master teacher is a calling. No one should become a teacher without that passion and dedication. Look for my next Education Reformation post on what middle and high school will look like. The video below is Sir Ken Robinson’s speech that was the impetus for my own proposals. It is over 10 minutes long, but well worth the time. This entry was posted in Education Reformation, True Reformation and tagged Education Reformation, Teaching. Bookmark the permalink. Reading this led me back to my childhood back to when I had first started Kindergarden. Although i was born here in the US, SanFrancisco if it matters, my parents insisted i be put into the ESL program (english second language). Now that just doesn’t make any sense to the common American because i was born in an english speaking nation so what makes me so special, or underachieved, that i have to be put into a system that is meant to help me better myself in the english language? Ill tell you why. My parents always spoke Arabic at home based on their habit of speaking it to each other back in their homeland Palestine. Also speaking to us in Arabic was sort of a positive for us because it gave us the advantage of another language and the benefit of both worlds. We didn’t speak so often because we didn’t ever need to. After all, we went to an American school where their main focus was English with a teaspoon of Spanish. So i guess what I’m trying to say is that my experience growing up in an environment of foreign students was rather a blessing. I didn’t feel that i was being treated any differently but instead that i was being given an opportunity to learn in an unfamiliar environment. I was surrounded by Koreans and Indians. I grew close with two of them, the South Korean and the Indian, and to this day I consider them my most trusted friends. I wanted to share this because of your story from 1st grade. It brought back memories of when i was in first grade. Isn’t it funny how we can remember all the way back to 1st grade and even before that? I tell my self it is because at that age, the brain is at its peak development and is in its most fragile state of learning and creating the long term memory we still remember. Your proposal of the “Never give up, even after failure” initiative was very appealing. I believe that is going to be the key to the next generations will to prosper in the fast changing world. Everyday there is always so much more to learn that we HAVE learned that will have to be associated into the subject we call “History”. They say that in order to learn all of the new discoveries and information of today, we would have to be in school for twice as long as we are today. The K-12 wouldn’t cut it anymore. Either we would have to teach more in a less amount of time or they would have to extend the school years just to reach the quota of information to teach. There is just so much out there, so much wonder, that it makes you wonder whether the future really will be as bright as we hope. Thank you for taking the time to blog about your opinions and thoughts. I am poised to read your next installment of whatever it is you are thinking. Thank you for reading and your support! It means a lot to me. It’s interesting how similar our backrounds are. Your point about information and time spent on subjects is a valid one. How can we cover all the information? We can’t. That is why it is so important that we create independent learners, so they can research and understand everything that is important to them to be successful. School should be a solid foundation on which to build a life. If we develop life-long learners and thinkers, than the future is wide open for them. We are limiting our children now because we are telling them there is one right answer or the grade is more important than the learning or that mistakes make a person stupid. That has to change! I have a question about what constitutes mastery. I understand that the common core standards are used as guide for this but those are also somewhat broad. I’m a little concerned about ESL and Special Ed. students and I think you need to have another post concerning what you think should be done with them. Mastery for an ESL or Special Ed student is not going to be what mastery is for a native english speaker. Not to mention that mastery in general is different for every student. It is unrealistic to think that I can master calculus anytime soon but that should be a goal for my sister who is a mathematics major. However, it is unrealistic to expect her to master reading Chaucer and that is something that could be expected of me. For me a C is mastering math and for many ESL students a C is mastering their english class. It depends on where they were before. Is the mastery level the same for every “grade” or is it more individualized? And if it is more individualized then what constitutes moving up a level? just that you’ve improved? because then you still may not be at the same level as your classmates. If the mastery level is the same then maybe some students may never move up. Also I’d like to hear more about the social aspect. How will this be assessed? In elementary school it should be easily observed but in high school there is so much going on outside of the classroom that affects what is happening in the classroom. The students have more time to socialize independently within the school so you may observe a student who seems to have a chip on his/her shoulder toward the other students but you don’t observe that student getting teased in the halls. Teens are particularly two-faced, as you experienced yourself by being betrayed by some you trusted. Also I feel that if you grade students based on the social aspects you will be mostly making things harder for students with mental health issues or special needs, or students with stuff happening at home. It sounds like you want an IEP for every student who is falling behind in a subject is that right? Thanks for your questions, Jessie. I was only addressing what the main track in elementary schools will look like. I will be writing about middle and high school in another post, but mastery of calculus is not something everyone will have to do. Mastery of math skills will change, depending on students’ choices and interests. I’ll get to that soon. It’s so hard to put everything I’m thinking in one post. This one is over 2000 words. Most people won’t read more than a 1000… so I thank you for reading the post and for your passion on the subject. ESL is an interesting subject. If a student is put into an ESL class, he or she is probably already experiencing much of what I’m proposing. For others, like me, I was similar to an ESL student, but I had to adjust without the extra help. Special Education–I’m not qualified to even broach the subject. Maybe others who have experiences and degrees in this area could chime in. The behavior and social aspect of my idea is put in place in elementary school. If it is handled correctly, it will correct most of the issues a child may have as he or she gets older. Once again, middle school and high school will look different than it does now, and slightly different from what I am proposing in elementary school. Thanks for reading, commenting, and asking questions! We need to keep the discussion going. I may have typos, because this is from a phone; please allow for some levity. Your proposal is flawed in one key way, ‘if parents want their children to do preschool, they should pay for it!’ From the get go, there is an SES discrepancy. Also, there are issues concerning common core standards… To implement a systemic change, there is (most likely) an assumption of over sight, ie centralized administration. However, with centralization, comes bureaucracy and misspending, not to mention, accountability… Measurable accountability… ie standardized testing! I am not disagreeing with you, in fact, I foresee a PhD pursuit in MY future, in Economics, specifically to address advocating much of what you have written. Also, I look at parental involvement, and my heart breaks. Parents, intend well, heart and soul, but do more to thwart the efforts of brilliant teaching! I’d live to see a system of parental support/coaching; however, MY experience is that parental involvement is too burdensome for many parents… ESPECIALLY for parents of children who NEED the most help! Thanks for your feedback AC! I don’t see parents paying for preschool as a flaw, since that is exactly what is happening now. There are new movements that are trying to get preschool completely funded in an attempt to improve student achievement in the future. I don’t believe it will work; therefore taking more money away from where it truly needs to go is a big mistake. Finally watched the video! Amazing! I loved the collaboration bit near the end. After just coming back from the AVID training and spending pretty much all of the time working collaboratively and learning ways to help my students use collaboration to their advantage, I can’t help but want to jump on Robinson’s bandwagon. Have you checked out the book that he mentions? “Break Point and Beyond,” sounds interesting. Might have to check that out. It amuses me that we are talking about a system that was established 300+ years ago, but very few of the powers that be would be willing to change anything. Can you think of any operating system that has not been adapted, evaluated, and ultimately improved upon in the last 300 years?!? We, as a society, choose to ignore one of the most fundamental needs, the educating of our young, but spend exorbitant amounts of money on their entertainment. I don’t even want to think about what I’ve spent already this summer on the kids! Why are they separate even? Robinson is right, we need to be waking our children up through education, bringing them to life. The idea of education being uplifting and invigorating and, God forbid, enlightening is profound and, dare I say it, entertaining. Keep it coming, Pauline. These are great! Thanks, Sandy! I love the collaboration part as well. That’s what I’d love Discovery Hour to turn into: Children working with each other to discover information that is interesting to them. When we work together as adults, we produce the best, most exciting lesson plans. We need to let them do it as well, but not in a contrived way that is forced upon them. That’s why group projects can fail miserably. I hope to have my next education post out by next week. Hi Pauline! I found you from Joanne! What a great post. Your story about how defeated you felt in spelling is my experience in math. I was told my 5’s looked like “S’s” and was made to stand in front of the room to write 100 #5’s where other students were allowed to stop me and tell me to fix my bad 5’s. Well, you can imagine where that left me. Pretty paralyzed, as kids started to call out different 5’s that didn’t look right. It was awful, and it has carried over to my anxiety about math to this day. I have a firm understanding about our roots in public education. The goal has always been to make everyone the same, but shifting the paradigm is so difficult — especially when we have constructed our buildings so the opportunities for collaboration are hardly possible. Even within a school, I see little collaboration with kids of the same age on different teams. I love the idea of a rotating door system — but this can only work if everyone is doing it. I taught for years at a private school in New Orleans, and it was a utopia. Truly, I had so much freedom and our students did not have to take standardized tests. They only had to take their SAT’s for college. And, as you can imagine, they all excelled. Nearly everyone opted to go to college, but those who didn’t quickly found work in other places: as artists, entrepreneurs. They had incredible communication skills, and I am in touch with many of them today. They received a much better education than the same students at the next public school in which I taught — which was ranked #12 in the Nation’s Top Public Schools at the time. Currently, my son attends what is considered the #1 district in NYS. And I will tell you, I have never seen worse grade inflation. I tell him all the time that he is clearly being graded on completion of an assignment, not excellence. Obviously, principals don’t want to deal with parents calling to complain about low grades. Their solution? Give everyone stunningly high grades. What a disservice this does everyone. So my child has an A+ in nearly every subject. He has no idea how to use a comma. And he is going into 8th grade. I’d love to see kids be able to move freely between grades for different classes, like in college, and I’ve always wondered why this couldn’t be so. In the K-12 private school where I taught, the schedule allowed for this. Great middle school students could come and take a high school English class and then go back down for math. Or vice versa. That way everyone got what he or she needed. That said, I’ve never heard of someone NOT receiving a diploma with their cohorts. Parents paid $15-20K to make sure that kids of the same “manufacture date” graduated together. We forget that there is much value in children collaborating with other children of different grade levels and abilities. Great post! Hi Renee! It’s so nice to meet you and hear your story! My experiences in education are limited to the school I teach in and a few long-term subbing positions in other schools. I know there are better ways to teach children, and you confirmed that. How can we change public schools? Who can we get to listen to us? I appreciate your encouragement; I don’t feel so alone now :). Let’s continue to be vocal about the problems we see, and we may start a wave that turns into a movement!